I am getting ready to start training for my 2nd half marathon in a little over a month, so I thought it would be a good idea to recap my first half marathon. Before I decided that I was going to run a half marathon, I had never ran more than 3 miles at one time. I had thought that I would never be a long distance runner, but the thought of running a half marathon sounded fun and exciting to me. I felt like it would definitely be a challenge for me, but I really wanted to do it. I started looking online for a training schedule that would work for me, and I found one that was made specifically for beginners. It was perfect for me since I had never ran over three miles before, but had been consistently running 3 miles for quite some time. I found that the schedule did an excellent job of giving me rest days to recover from my longer runs, and I was able to slowly build up my endurance. I loved the feeling of accomplishment that I had after my long runs, and this made me feel super excited for the race! When the race day finally came, I felt like I was well prepared. The race began at 7:00 in the morning, and it was cold! My most prominent memory from before we started the race was driving up on the bus and thinking to myself things like, "I can't run this far." "I better just have them drop me off." "Why aren't we stopping yet?!" Obviously I was being dramatic, but I was soooo nervous! However, as soon as I started running, I found my groove! The race was beautiful, and the fact that a good portion of it was downhill, made it easier than I had expected it to be. I had no problems with side aches during the race, which was awesome because I had suffered from some massive stomach issues during long runs in the past. My family came to support me, and I was so excited. My poor hubby couldn't come though because he had a test in Provo and the race took place in Vernal, Utah. Oh and on a side note, it was his birthday ha, so I hurried and drove back to Provo after the race. It was a long day to say the least. This September I am going to be doing the same race again, and I am really excited. I know what to expect this time, and I'm looking forward to doing another half marathon because it has been 2 years since my last one. I had planned on doing the half last year, but I was pregnant and had all day long morning sickness and couldn't. However this year I am most definitely not going to be pregnant ha, and I am excited to see how I do this time around. 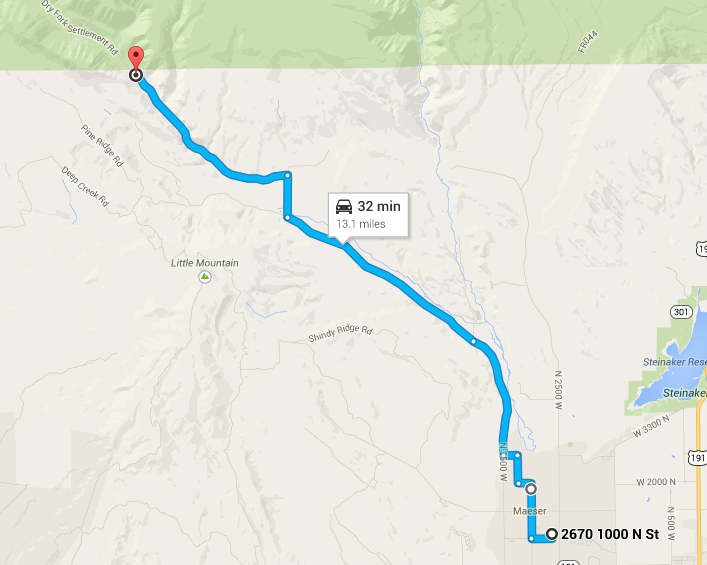 The race is in Vernal, Uath and it begins in Dry Fork and ends at the Maeser Elementary School. 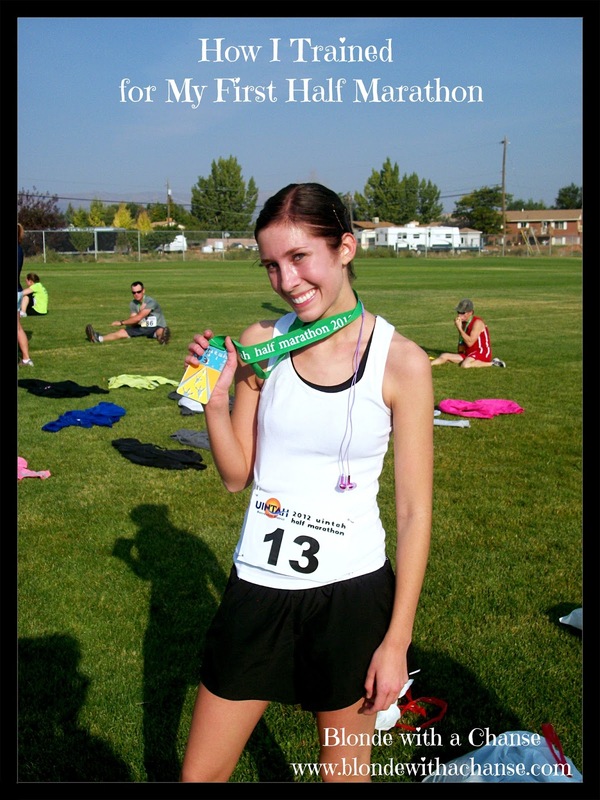 You can register for the Uintah Half Marathon 2014 as well! It will be on Saturday, September 20th. *Have you ever ran a half marathon? *What training plan did you use? Great job on your half marathon and good luck with the training for this years. The half is the best distance! 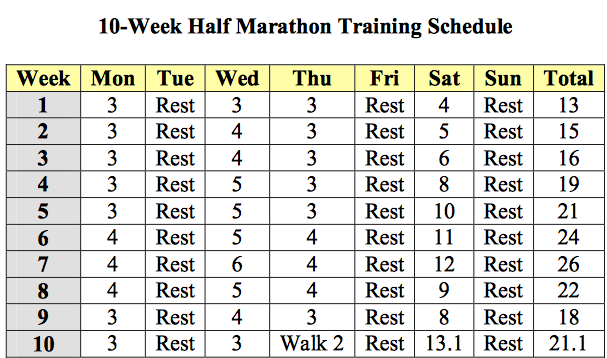 I have participated in two half marathons and both times I just kind of made up my own schedule after looking at a few online. I am old so my goal is always just to finish! Congrats on your first and that's really exciting about starting training for your second! I ran one three years ago in Middlebury, VT and would love to run another soon, but unfortunately have patellar tendonitis :(. As for my training, I ran XC/Track in high school so got back into a toned down version of that with 15-30 miles a week with about 20% of those being speedier workouts using the VDOT method (http://www.runbayou.com/jackd.htm) which I also used in high school. Oh no I'm so sorry! Is it getting better? I had some major knees issues about a year and a half ago and had to take 6 weeks off from running. It sucked, but the time off totally helped my knee to recover :) I want to look into the VDOT method! Thank you! Oh good! I'm so glad that I could help :) This training plan really is awesome, and it left me feeling very prepared for the race. I have cheered for friends who ran them and they really inspire me! Good luck in your next one! you're awesome!!! This makes me want to do one!